Dr. Shipeng Li is the CTO of Cogobuy Group (HK.400) & IngDan – the largest “Uber-like” platform to connect IoT innovators with enterprise service providers. He founded IngDan Labs pioneering in IoT & AI innovations in 2016. In 1999-2015, he was a Microsoft Partner, Principal Researcher and a founding member of Microsoft Research Asia – the world’s “hottest” Computer lab by MIT TR. In 1996-1999, Dr. Li was with Sarnoff Corporation. 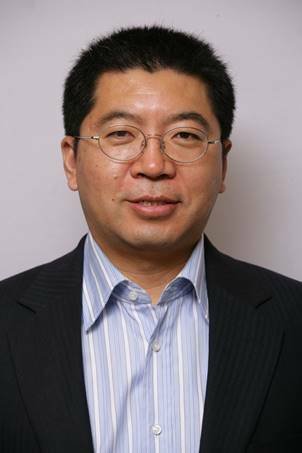 A Deputy EiC of IEEE Transactions on Circuits and Systems for Video Technology and a Fellow of IEEE, Dr. Li is an influential & leading expert on multimedia and AI, holding 191 US patents and 330+ international papers, He has trained 4 MIT TR35 Innovator Award Winners over the years. He serves as Joint Secretary General of AI Industry Technology Innovation Strategic Alliance of China. Dr. Li received B.S. (1988) and M.S. (1991) from USTC and Ph.D. (1996) from Lehigh. Prof. Touradj EBRAHIMI (EPFL) received his M.Sc. and Ph.D., both in Electrical Engineering, from the Swiss Federal Institute of Technology (EPFL), Lausanne, Switzerland, in 1989 and 1992 respectively. In 1993, he was a research engineer at the Corporate Research Laboratories of Sony Corporation in Tokyo, where he conducted research on advanced video compression techniques for storage applications. In 1994, he served as a research consultant at AT&T Bell Laboratories working on very low bitrate video coding. He is currently Professor at EPFL heading its Multimedia Signal Processing Group. He was also adjunct Professor with the Center of Quantifiable Quality of Service at Norwegian University of Science and Technology (NTNU) from 2008 to 2012. He is currently the Convenor of JPEG (Joint Photographic Experts Group) standardization committee. Prof. Ebrahimi has been the recipient of various distinctions and awards, such as the IEEE and Swiss national ASE award, the SNF-PROFILE grant for advanced researchers, Four ISO-Certificates for key contributions to MPEG-4 and JPEG 2000, and the best paper award of IEEE Trans. on Consumer Electronics . He became a Fellow of the international society for optical engineering (SPIE) in 2003. Prof. Ebrahimi has initiated more than two-dozen National, European and International cooperation projects with leading companies and research institutes around the world. He is also the head of the Swiss delegation to MPEG, JPEG and SC29, and acts as the Chairman of Advisory Group on Management in SC29. He is a co-founder of Genista SA, a high-tech start-up company in the field of multimedia quality metrics. In 2002, he founded Emitall SA, start-up active in the area of media security and surveillance. In 2005, he founded EMITALL Surveillance SA, a start-up active in the field of privacy and protection. He is or has been associate Editor with various IEEE, SPIE, and EURASIP journals, such as IEEE Signal Processing Magazine, IEEE Trans. on Image Processing, IEEE Trans. on Multimedia, EURASIP Image Communication Journal, EURASIP Journal of Applied Signal Processing, SPIE Optical Engineering Magazine. Prof. Ebrahimi is a member of Scientific Advisory Board of various start-up and established companies in the general field of Information Technology. He has served as Scientific Expert and Evaluator for Research Funding Agencies such as those of European Commission, The Greek Ministry of Development, The Austrian National Foundation for Scientific Research, The Portuguese Science Foundation, as well as a number of Venture Capital Companies active in the field of Information Technologies and Communication Systems. His research interests include still, moving, and 3D image processing and coding, visual information security (rights protection, watermarking, authentication, data integrity, steganography), new media, and human computer interfaces (smart vision, brain computer interface).He is the author or the co-author of more than 200 research publications, and holds 14 patents. 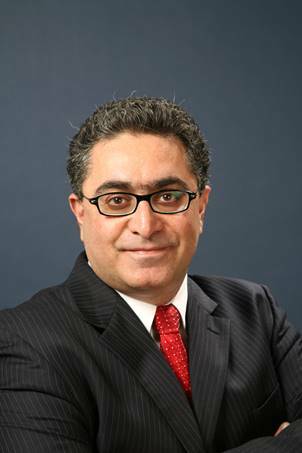 Prof. Ebrahimi is a member of IEEE, SPIE, ACM and IS&T. Tiejun Huang,Ph.D, is a Professor with the School of Electronic Engineering and Computer Science, Head of Department of Computer Science, Peking University. His research areas include video coding and image understanding, especially neural coding inspired information coding theory in recent years. He received the Ph.D. degree in pattern recognition and intelligent system from the Huazhong (Central China) University of Science and Technology in 1998, and the master’s and bachelor’s degrees in computer science from the Wuhan University of Technology in 1995 and 1992, respectively. Professor Huang received the National Science Fund for Distinguished Young Scholars of China in 2014, and was awarded the Distinguished Professor of the Chang Jiang Scholars Program by the Ministry of Education in 2015. He is a member of the Board of the Chinese Institute of Electronics and the Advisory Board of IEEE Computing Now. 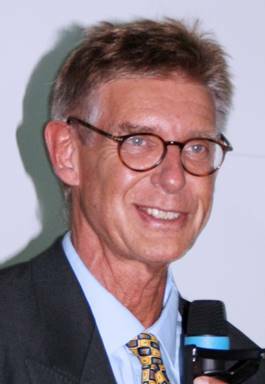 Prof. Jens-Rainer Ohm holds the chair position of the Institute of Communication Engineering at RWTH Aachen University, Germany since 2000. His research and teaching activities cover the areas of motion-compensated, stereoscopic and 3-D image processing, multimedia signal coding, transmission and content description, audio signal analysis, as well as fundamental topics of signal processing and digital communication systems. Since 1998, he participates in the work of the Moving Picture Experts Group (MPEG). He has been chairing/co-chairing various standardization activities in video coding, namely the MPEG Video Subgroup since 2002, the Joint Video Team (JVT) of MPEG and ITU-T SG 16 VCEG from 2005 to 2009, and currently, the Joint Collaborative Team on Video Coding (JCT-VC), as well as the Joint Video Exploration Team (JVET). Prof. Ohm has authored textbooks on multimedia signal processing, analysis and coding, on communication engineering and signal transmission, as well as numerous papers in the fields mentioned above. 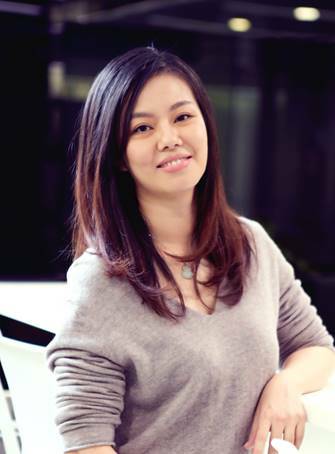 Xiaoyan Sun is a Lead Researcher with Microsoft Research Asia. Her current research interests include computer vision, image/video processing, and machine learning. She is now working on video analysis, image restoration, and image/video coding. Dr. Sun has authored or co-authored over 100 papers in journals and conferences, 10 proposals to standards with one accepted, and over 10 granted US patients. She was a recipient of the Best Paper Award of the IEEE Transactions on Circuits and Systems for Video Technology in 2009 and the Best Student Paper Award of VCIP 2016. Dr. Sun is a TC member of IEEE MSA (Multimedia Systems & Applications, AE of Signal Processing: Image Communication, and AE for the IEEE Journal on Emerging and Selected Topics in Circuits and Systems. She also served as session chair, area chair, and TC co-chair of several international conferences. Xiaoyan Sun received the B.S., M.S., and Ph.D. degrees in computer science from Harbin Institute of Technology, Harbin, China, in 1997, 1999, and 2003, respectively. She has been an intern in Microsoft Research Asia since 2000 and joined Microsoft Research Asia later in 2003. She is an Adjunct Professor (PhD supervisor) of the University of Science and Technology of China. Dr. Yaowu Xu is currently the Engineering Lead of the video compression team at Google. His team is responsible for developing core video technology that enables a broad range of products and services at Google, such as YouTube, Hangouts, Daydream, etc. The team has been the driving force behind open source video codec efforts of VP9 and AV1. Prior to joining Google, Dr. Xu was the Vice President of Codec Development at On2 Technologies, where he co-created On2's VPx series codecs including VP32, VP4, VP5, VP6, VP7 and VP8. 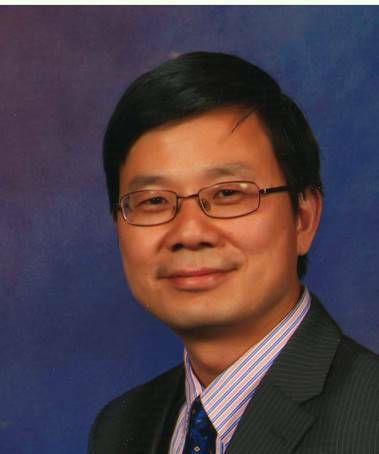 Dr. Xu's education background includes the BS degree in Physics, the MS and PhD degree in Nuclear Engineering from Tsinghua University at Beijing, China. He also holds the MS and PhD degree in Electrical and Computer Engineering from University of Rochester. 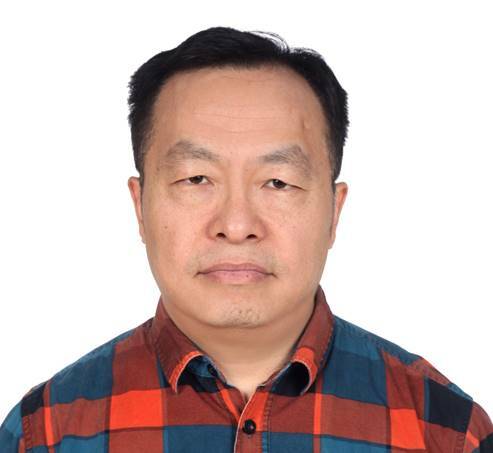 Dr. Xu has published many technical papers in the area of image processing and video coding, he also holds many granted patents and has many more patent applications pending in the area of video compression.